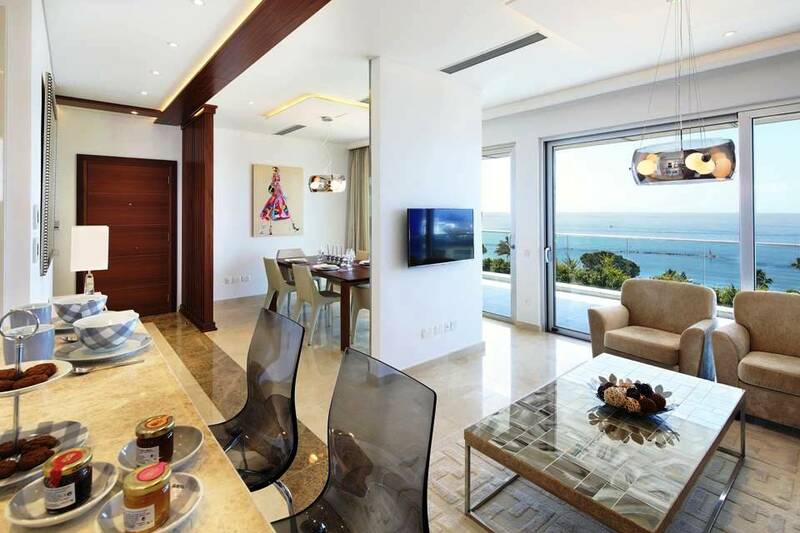 Perhaps the most luxurious and best located 2 bedroom apartment for sale in Limassol…an apartment that oozes quality luxury and finesse with views that will simply take your breath away! With total covered areas of 153m2 this superb apartment also offers space and comfort indoors and outdoors with the spacious balcony stretches itself over one of the most luxurious residential projects in Limassol overseeing the beautiful Mediterranean Sea and beyond. 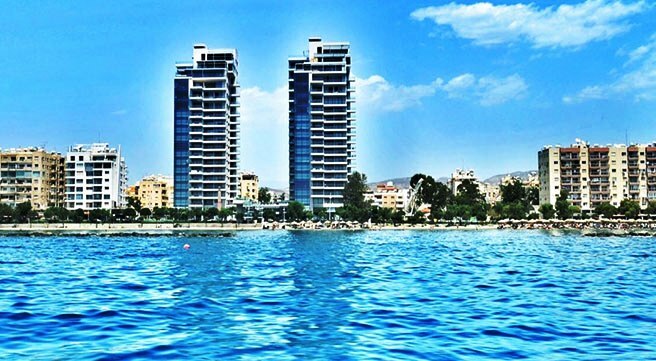 This exceptional apartment is located in the Opera residential Complex, the most luxurious quality built residential project built recently in Limassol and just a few meters from the beach! 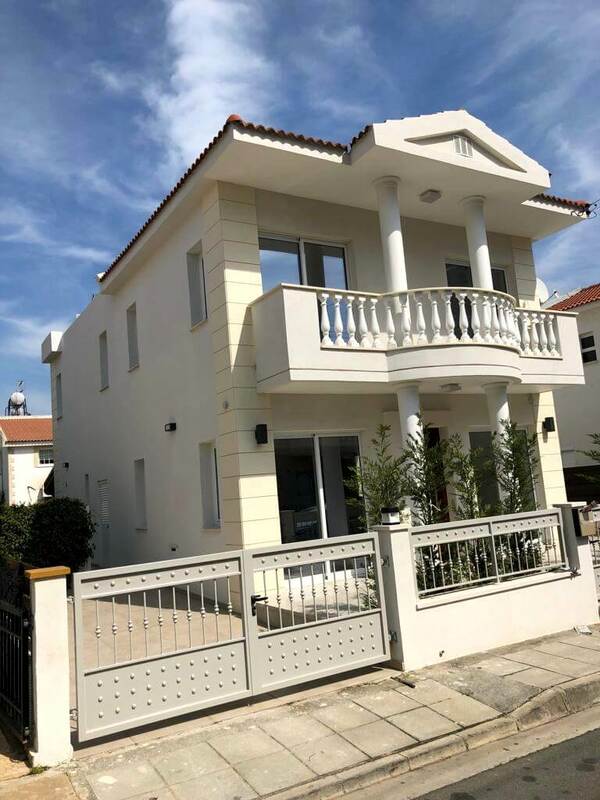 Both the Complex and the apartment on offer ooze quality and luxury and not surprisingly as the Company that planned and built this project is one of the best construction Companies in Cyprus. The apartment comes fully furnished with new top quality furniture and offers 2 spacious bedrooms, both with en suite bathrooms plus a guest toilet, a state of the art modern and fully equipped kitchen, a spacious lounge and dining area, a fully equipped laundry room and a storage room. Full air condition and heating is through a central tablet system that is both economical and effective for a cool comfortable environment during the hot summer months and cozy and warm the few weeks of cold spells felt in the mild Cyprus winter. The best quality marble floors throughout and best quality solid wood flooring in all bedrooms have been installed as well as a solar system and a water pressure system. Nothing has been left out to ensure comfortable luxury and enjoyable living and lifestyle. As for the spacious balcony no words can describe the stunning views to be enjoyed and even more the space offered to entertain family and friends or to just relax and enjoy the beautiful sea views over a cool drink or coffee. 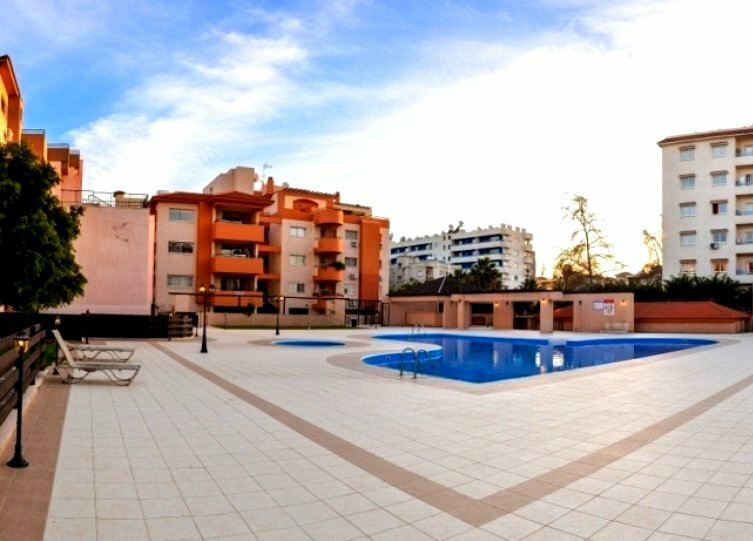 As for the Complex that is beautifully located close to the Miramare Hotel and just across the beach offering a range of facilities like a huge common swimming pool, private covered parking, storage room and a safe gated entry system.